Building a scientific citizenry – one person at a time. In the Fall of 2018 we had another fabulous COPUS Unconference. We met in Montana near Flathead Lake, connecting folks from across the country who are scientists, and/or work in science education, science communications, and science equity & inclusion projects. As part of the unconference, we hosted a science fair at the North Lake County Public Library, inviting the community of Polson to join us. It was awesome! Nominate a hero in your life! Deadline is Monday, July 9, 2018 at midnight (PST). Each year an individual or individuals will be selected to receive the Paul Shin Award in recognition of dedication to communicating science to the public, whether in person, in print or online, or a combination. Read the guidelines and nominate now! This award is intended to recognize someone within the organization who has contributed at an exceptional and inspiring level of effort toward COPUS’s success. The award will be made when appropriate and not necessarily annually. Read the guidelines and nominate now! On Saturday May 12, 2018, from 10 am to 3 pm, Stanford University’s premier terrestrial outdoor research and teaching laboratory in the hills near Palo Alto—Jasper Ridge Biological Preserve—will be open to the public for discovery and exploration in one of California’s most diverse ecological settings. The last time a community open house took place was more than 10 years ago. Formally established as a biological preserve by Stanford University in 1973 and a part of UNESCO’s Golden Gate Biosphere and the Santa Cruz Mountains Stewardship Network, the preserve is recognized internationally not only for the ecological, geological, and other kinds of research and teaching that have gone on there for more than a century, but also as a gem of nature hidden in the midst of Silicon Valley. 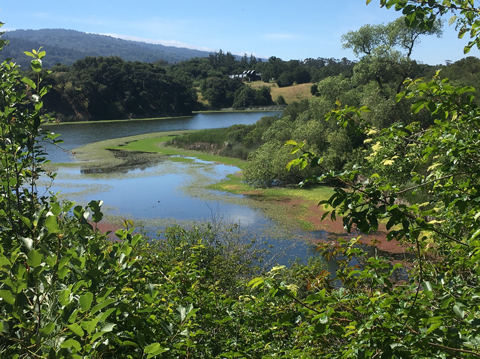 The purpose of this year’s open house is to help the surrounding communities and all who are interested learn about the preserve and the role it plays in Stanford’s mission and in regional and international nature conservation efforts. At this family-friendly event visitors of all ages will have the chance to interact with Stanford researchers and educators conducting work at Jasper Ridge, to take self-guided walks, and to visit exhibits that highlight both current and past research that has made the preserve world-renowned. Among the special features of the preserve are its diverse vegetation, which include nearly every natural plant community found in west-central California. More than a thousand species of vascular plants, mosses, lichens and fungi have been recorded. Animal communities are no less impressive, with more than 280 vertebrate species (animals with backbones) that range from mountain lions at the largest to shrews at the smallest, plus an untold number of invertebrate animals—snails, worms, insects and so on—that are vital to healthy ecosystems. This rich assemblage of plants and animals, combined with the remarkably diverse landscape that hosts them, provides an ideal natural laboratory in which to learn how nature works, which over the years has yielded—and continues to yield—important discoveries by researchers from Stanford and around the world. Currently about 60 different research projects are underway each year, some long-term, such as wildlife monitoring through a camera-trapping network that has been in place since 2009 and ant surveys that have been running more than two decades. Other studies play out over shorter time-spans (up to five years), such as determining how microbes affect subsurface soil processes, or how microscopic-size ecosystems evolve deep within sticky monkey-flowers. Educational use abounds, with more than 5000 people learning at the preserve each year, drawn from more than 20 courses at Stanford, from other colleges and high-schools in the area, and from the general public who during the academic year can reserve educational tours via the Jasper Ridge Biological Preserve website: https://jrbp.stanford.edu/visit. The 1193 acres that now comprise the preserve have a rich historical legacy that will also be featured during the open house. Prior to the arrival of Spanish explorers, Muwekma Ohlone encampments and villages were numerous. After Spanish contact, ranching and timber operations eventually proliferated, and the town of Searsville grew only to be abandoned once Searsville Dam was completed in 1892. Everyone is welcome to attend the family-friendly Jasper Ridge Biological Preserve Open House. The event is free, but a ticket is required, which can be obtained here: JRBP Open House Ticket. 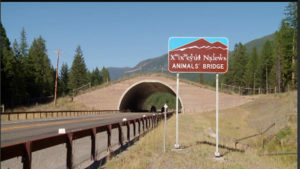 Please note that pets are not allowed and smoking is prohibited throughout the preserve, including outdoors. Parking will only be available off-site at 2882 Sand Hill Road in Menlo Park, just east of the Sand Hill exit off of 280, about two miles from the preserve. Shuttle buses will run between the parking area and the preserve beginning at 9:30 a.m. Limited ADA parking will be available on-site at the preserve (located at 4001 Sand Hill Road, Woodside) by prior reservation, which can be made here: https://jrbp.stanford.edu/content/contact-us. Bicyclists will be able to park their bikes on-site at the preserve. Further details about the event, including safety information, what to bring and what not to bring, can be found at: https://jrbp.stanford.edu/content/open-house-information. 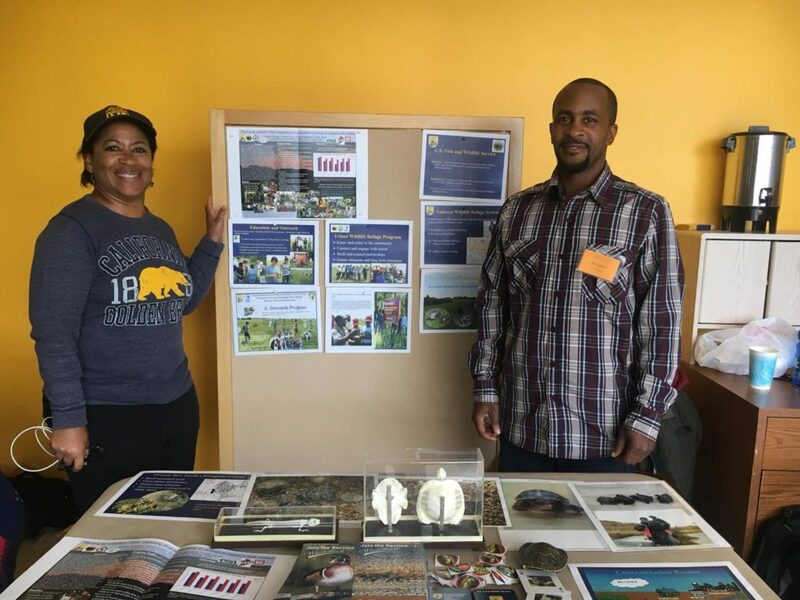 COPUS member and Founder & Executive Director of SEM Link (Science, Engineering, and Mathematics Link, Inc.) Tokiwa Smith is an expert in science education and outreach. She’s been organizing SEM Link’s signature STEM Career Fair for over 10 years in Atlanta, Georgia, and is expanding SEM Link’s influence each year. 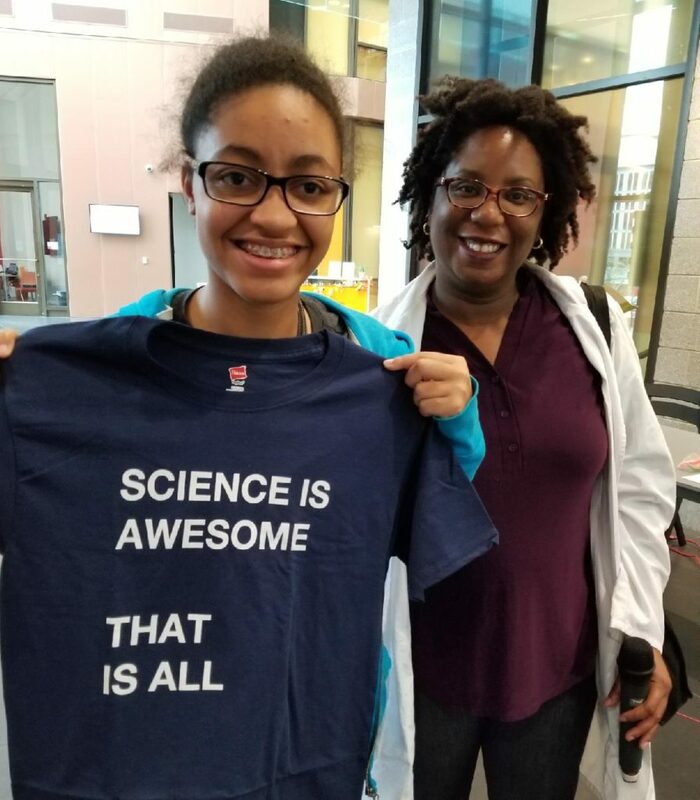 Last weekend, SEM Link held their second annual STEM Career Fair in Washington, DC, where over 100 attendees from the community were able to engage with hands-on science exhibits and meet STEM professionals from a variety of fields. In addition, she ensures that students who attend a SEM Link event will be able to interact with a diverse ensemble of exhibitors and presenters. “As an African American woman, I want to make sure that kids that look like me are able to take advantage of these types of opportunities,” she says. New for this year in DC, Tokiwa graciously invited the COPUS member network to join in and table at the event. Representatives from the SF Bay Area COPUS hub (Monica Albe, Krystin Ventura, Yennie Shyu, and Layla Chamberlin) were excited to participate and had a wonderful time meeting all the kids and their families that day and showing them a little bit about cell biology. They are looking forward to next year already! In the future, SEM Link is hoping to see STEM career fairs expand to other communities in the nation. 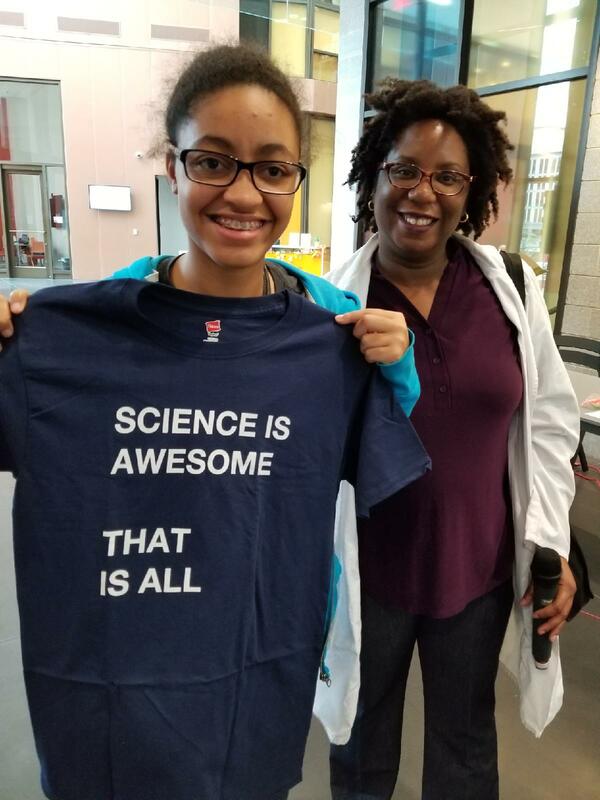 Tokiwa is the author of A Guide to Hosting STEM Events, a resource she recommends to anyone interested in coordinating a STEM outreach event. To help SEM Link connect even more students to STEM career fairs, make a financial contribution to the “Donate Your Lunch Money” Individual Donor Campaign. “Science is Awesome. That is all.” t-shirt design by COPUS member David Ng. 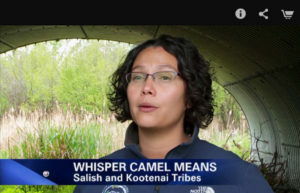 NOVA/PBS featured wildlife biologist Whisper Camel-Means and the Flathead Reservation in a “Wild Ways” look into wildlife corridors and conservation efforts. COPUS is excited to see this project highlighted — we’ve loved it ever since Whisper presented on it at the 2015 Yellowstone COPUS Unconference! 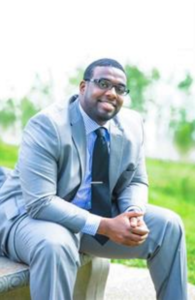 COPUS is proud to announce Russell Ledet as the winner of the 2016 Paul Shin Award recognizing “unsung heroes” who have demonstrated commitment and passion in work related to Science, Technology, Engineering and Math (STEM) education/outreach, STEM equity/inclusion, and/or scientific literacy. Looking at Russell today, you see a seemingly tireless and impeccably competent science professional. A Ph.D. candidate at the New York University (NYU) School of Medicine working long hours in prostate cancer research, he also mentors and serves on the board of directors for Clear Direction, the STEM mentoring organization he co-founded along with Julia Derk. It would be easy to assume he has spent his whole life in the field. But as Russell notes, when it comes to successful scientists, “everybody sees the building, nobody sees the foundation”. This idea was at the forefront of his development of Clear Direction Mentoring. Clear Direction works to help young people who, like Russell, don’t see an obvious path into the field. The program pairs PhD and MD/PhD students with high school juniors from underprivileged and underrepresented New York City boroughs with an expressed desire to study STEM. Clear Direction mentees explore diverse aspects of STEM in the real world, from attending lectures from experts on the financial, political, or industry aspects of STEM, to lunchtime discussions and experiments with other mentors and mentees. The mentorship process seeks to “redefine mentorship” to create a relevant, personalized, and ultimately supportive program for each student. “For anyone to be a mentor,” Russell says, “they’ve got to believe that any kid could end up in their position one day…without [the mentee’s] viewpoint, how is our approach relevant?” Mentors are matched to students based on interest, and the experience can involve everything from hands-on lab work to advice on navigating high school during the two years of formal mentorship. Today, Clear Direction has 30 mentors working to inspire students in over 1,000 mentorship hours to date. Congratulations to Russell — COPUS thanks you for your tireless efforts in STEM and STEM outreach! Ixil Science Fair – first ever! What does a leaf look like under a microscope? How did an asteroid cause the extinction of the dinosaurs? How do bees make honey? The young science enthusiasts of Ixil, Yucatán can give you the answers! On January 15, 2017, the Coalition for the Public Understanding of Science (COPUS) collaborated with the local non-profit, Proyecto Itzaes, to hold the very first science fair in the village of Ixil, Yucatán, Mexico. Proyecto Itzaes program coordinators, Jessica Cetz Dzib and Francisco Pech Cutz, were especially instrumental in orchestrating such a successful day. 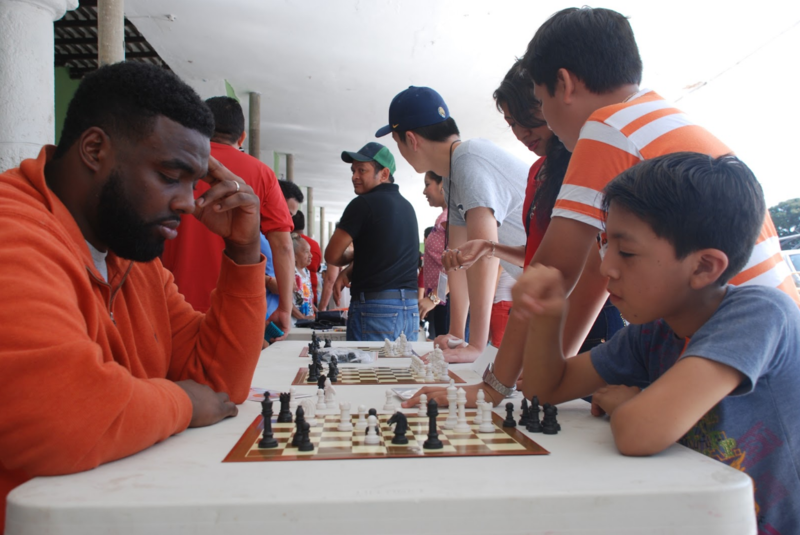 This event tied perfectly into Proyecto Itzaes’ mission to bring educational resources to rural Maya villages on the Yucatán peninsula, and to infuse the thrilling experience of discovery in these communities. A diverse group of scientists and educators from Mexico, the United States, and Canada prepared interactive booths spanning chemistry, agroecology, mathematics, physics, and beyond, with the goal of inspiring a sense of scientific curiosity (see full list of science booths below). With hundreds of villagers in attendance — the majority of them children — it was a huge success: by the end of the day, several determined young Ixil engineers had even built a twenty-foot roller coaster out of paper towel rolls and masking tape. Vital to the success of the event was the bidirectional communication of scientific and cultural learning, between scientists and educators, children and adults, and spanning four languages (Maya, Spanish, Salish, and English). Many of the hands-on activities had particular significance to the local economy and culture, thanks in large part to the involvement of scientists and educators from the region. Community members shared their knowledge of local plant species for use in traditional medicines and home remedies. A local beekeeper displayed one of his hives and shared his extensive knowledge of the trade, including the fact that the Melipona bees native to the area don’t sting! A lively dance festival, photography art show, choir performance from the local schoolchildren, and even a comedy act accompanied the science fair. Additionally, COPUS members brought in microscopes, art supplies, and science gadgets that were not only used for the science fair, but found a permanent home with Proyecto Itzaes for future events. Everyone came away with a greater appreciation for something — be it science, local culture, or the delight seen in a small child’s eye when they learn something new. 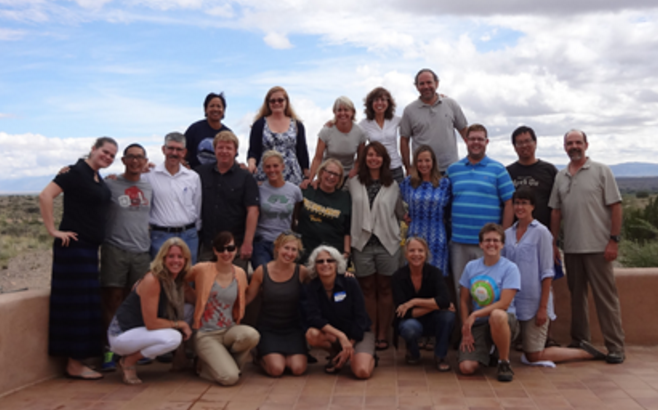 The idea for the Day of Service originated two years before at the COPUS Yellowstone Unconference. Members agreed that at future unconferences, we’d partner with nearby organizations to give back to the local community. Our first ever Day of Service in Ixil was an excellent start to this new tradition, and so much more than “giving back.” It was an opportunity for COPUS members to come away with new perspectives, fresh ideas, and a personal connection with a very special place. Just as exciting, this event drew in a new audience for Proyecto Itzaes, broadening awareness and support for their incredible work. And one thing we know for sure — the people of Ixil have some remarkable young minds and talented mentors that when given the opportunity, are powerful contributors in our scientific community. ¿Cómo se ve una hoja debajo de un microscopio? ¿Cómo un asteroide pudo causar la extinción de los dinosaurios? ¿Cómo hacen miel las abejas? ¡Los jóvenes entusiastas de Ixil, Yucatán te pueden dar las respuestas a estas preguntas! El 15 de enero de 2017, la Coalición para el Entendimiento Público de la Ciencia (COPUS, por sus siglas en inglés) colaboró con la organización no lucrativa, Proyecto Itzáes, para llevar a cabo la primera feria de la ciencia en la localidad de Ixil, Yucatán, México. Los coordinadores de programas de Proyecto Itzáes, Jessica Cetz Dzib y Francisco Pech Cutz, fueron claves en la organización de este exitoso día. El evento compaginó perfectamente con la misión de Proyecto Itzaes de llevar recursos educativos a pueblos mayas rurales y de inyectar en estas comunidades la emocionante experiencia del descubrimiento. Un grupo diverso de científicos y educadores de México, Estados Unidos, y Canadá prepararon stands interactivos que incluyeron actividades relacionadas a química, agroecología, matemáticas, física, entre otros, con el fin de inspirar un sentimiento de curiosidad científica (ver abajo lista completa de stands). Acudieron cientos de pobladores de Ixil a la feria, – la mayoría de los cuales fueron niños – por lo que el evento resultó un enorme éxito: al final del día, varios jóvenes (futuros) ingenieros de Ixil terminaron de construir una montaña rusa de seis metros de largo usando masking tape y rollos de carton de papel de baño. La comunicación bidireccional involucrando el aprendizaje científico y cultural entre científicos, educadores, niños y adultos, utilizando cuatro idiomas (maya, español, salish, e inglés), fue de vital importancia para el éxito del evento. Muchas de las actividades manuales e interactivas tuvieron un significado particular para la economía y cultura local, lo cual en gran medida se debió a la participación de científicos y educadores de la region. Miembros de la comunidad compartieron su conocimiento de las plantas locales usadas en medicina tradicional y para producir remedios caseros. Un productor local de miel desplegó una de sus colmenas y compartió su amplio conocimiento de esta actividad productiva, incluyendo el hecho que ¡las abejas meliponas nativas de la región no poseen aguijón! Un animado festival de baile, una diversa exposición fotográfica, un número por parte de un coro de niños locales de una escuela, e incluso un acto de comedia fueron algunas de las actividades que se sumaron a la feria científica. Adicionalmente, los miembros de COPUS trajeron microscopios, insumos artísticos, y artilugios científicos los cuales fueron utilizados en la feria y fueron donados a Proyecto Itzáes para su utilización en futuros eventos. Todos los participantes adquirieron una mejor apreciación de algún fenómeno, idea o sentimiento relacionado a ciencia o cultura local o bien simplemente la satisfacción de ver en los ojos de un niño el sentimiento positivo de aprender algo nuevo. La idea del Día de Servicio se originó dos años antes durante la no-conferencia de COPUS en Yellowstone. Los miembros acordaron que en no-conferencias futuras COPUS uniría fuerzas con otras organizaciónes para aportar conocimientos a las comunidades locales. Nuestro primer Día de Servicio en Ixil fue un excelente inicio para esta nueva tradición y fue mucho más que solo “aportar conocimientos” a la gente local. Fue una oportunidad para que los miembros de COPUS desarrollaran nuevas perspectivas, ideas frescas, y una conexión personal con un lugar muy especial. De igual forma, el evento atrajo una nueva audiencia para Proyecto Itzáes, incrementando la conciencia y apoyo en relación al increíble trabajo que esta organización esta realizando en Yucatán. Y una cosa que sabemos es completamente cierta: la comunidad de Ixil posee destacadas jóvenes mentes y talensosos mentores los cuales tienen el potencial de contribuir a la ciencia si se les proporcionan las oportunidades. Tokiwa Smith is a Chemical engineer, STEM Educator and social entrepreneur. She is the Founder and Executive Director of Science, Engineering and Mathematics Link Inc also known as SEM Link a nonprofit organization that she founded in 2005 that exposes youth to STEM and STEM Careers that has programs in Atlanta and the DMV (DC, Maryland and Virginia) areas. She is also CEO and Principal Consultant for Kemet Educational Services, a STEM Educational Consulting Firm that she started in 2010 that focuses on ensuring that pre-college, community college and undergraduates students are prepared to pursue STEM careers. Tokiwa recently relocated back Atlanta, Georgia after spending 7 years in the San Francisco Bay Area, where she first connected with COPUS. 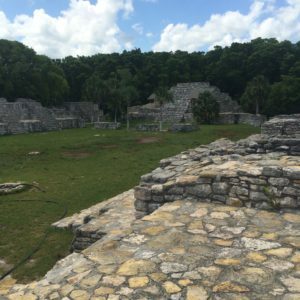 She recently attended her third Unconference, this January in the Yucatan Peninsula Mexico, where we were able to connect with her and learn more about her. Tokiwa is a native of Miami, Florida and is an alumna of Florida Agricultural and Mechanical University (FAMU) a Historically Black College and University (HBCU). She has spent her career working for and developing STEM educational programs for precollege and undergraduate students to provide opportunities for them to be exposed to and be prepared for STEM careers. Through the work of her consulting firm, Kemet Educational Services she is using her background as an engineer and professional experience to bridge the gap between the STEM community and individuals and organizations that want to add STEM to their programming and/or learn how to engage kids in hands on STEM activities by providing them with strategies and tools to do so. 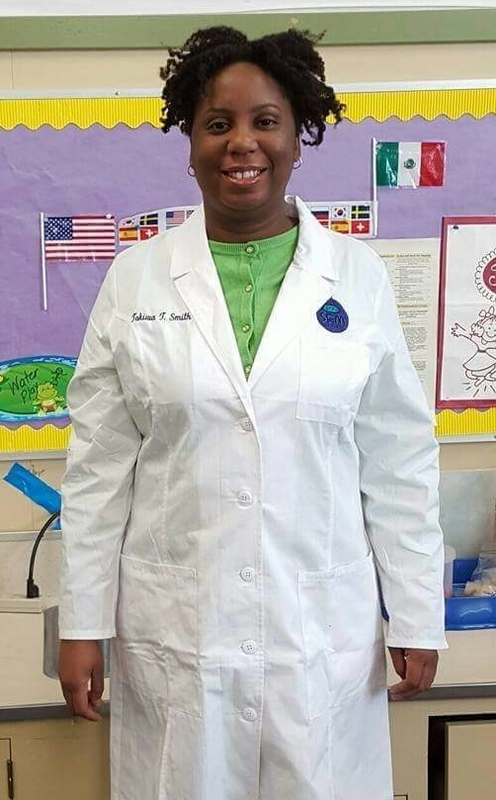 Through the work of her nonprofit SEM Link, she is doing one of the things that she loves the most, exposing youth to STEM by engaging them in hands on STEM activities and connecting them with the STEM community. Tokiwa’s nonprofit SEM Link, is currently in the midst of its “Its All About the Pi” Spring Fundraising Campaign , which ends on April 28th. The funds from this campaign, which individuals can make their tax deductible financial contribution online will support their programs, which include the 10th Annual STEM Career Fair and Exhibition on Saturday, April 15th at Georgia Tech. This event will provide K-12 students and their families with an opportunity to explore careers and meet and interact with professionals in these fields. In addition, Saturday, April 8th, Tokiwa will go back to her alma mater FAMU and along with SEM Link volunteers engage middle and high school students in a hands on chemistry activity at the STEM Expo on STEM Day hosted by the College of Science and Technology. 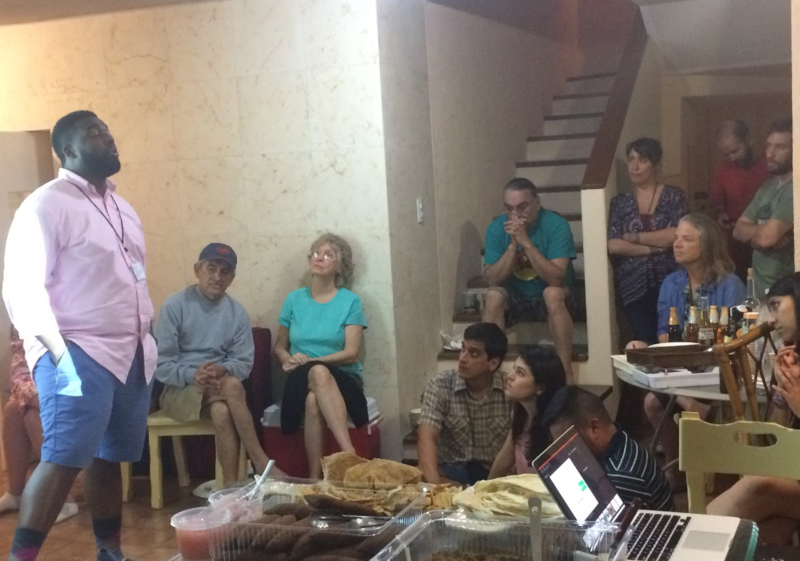 Donate here to help us reach our goal: $10,000 for the Mexico Unconference and Science Fair. As of January 11th, we’ve raised $5,050. Thanks to all of you who’ve donated so far! Let’s keep it going — it’s not too late to give a gift! $50 = after the January unconference, receive a thank you card with a group photo of us all in Mexico. $100 = after Mexico, receive a thank you card and a drawing from one of the students from the science outreach event. $250 = after Mexico, thank you card, and a penpal opportunity with a Proyecto Itzaes budding scientist. $500 = COPUS will give you or your organization/company a shout-out on our website and social media (with links to your site and their logo). Link and logo will stay on our website for one year from posting date. $1000 = Cindy Wilber will give you a personal tour of ‘Hidden Yucatan.’ Airfare not included, but housing (right near beach) and food and a tour guide is! 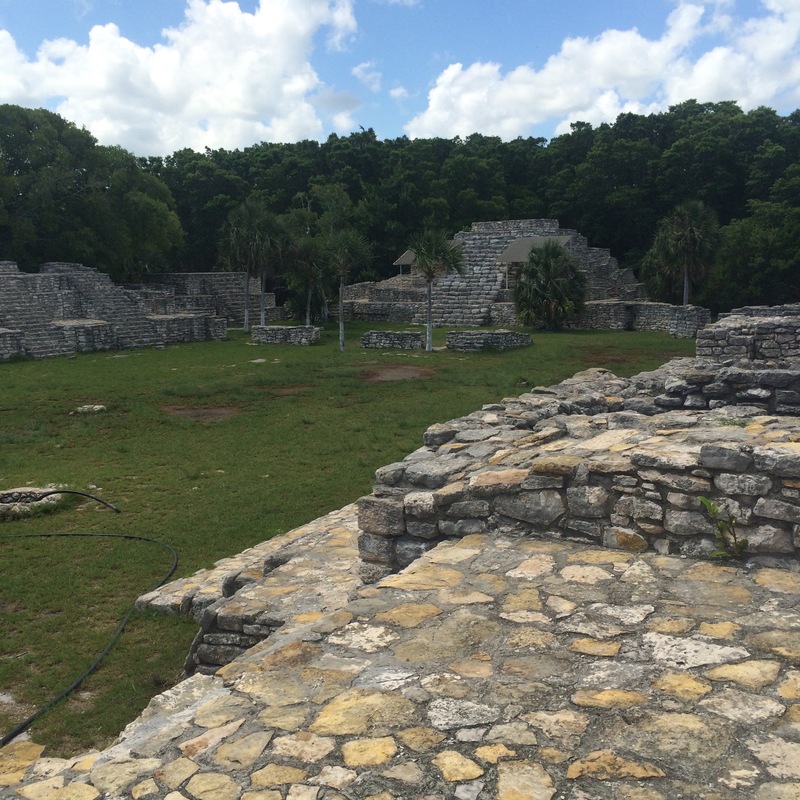 Email us if you’d also like to donate school/science materials for the Maya community. We’ll be posting updates about our fundraising goals each week, so check back here and please share with your friends! COPUS is a completely not-for-profit, volunteer network of individuals and organizations across the nation focusing on scientific literacy, STEM (science, technology, engineering and math) education, and STEM equity/inclusion. Funds are used for fostering community and collaborations in STEM education (such as our unconferences) or providing educational materials to communities in need. Donations are collected through our University of California at Berkeley hub and are 100% tax deductible. A huge thank you to Tom McFadden of SciencewithTom for creating our beautiful crowdfunding video. And special thanks to Tokiwa Smith of SEMLink, Edward Samaniego of ES Visual Studies, Diego Román, and all other COPUS contributors for the awesome pictures and videos used. Where’s our next unconference? The Yucatan Peninsula in Mexico! This unconference is going to be incredible, and styled a little different from the last one. The new style will allow all attendees to really get to know each other and bond not only over activities and presentations, but through shared experiences and interactions with the local community. A celebration of STEM education/outreach and the individuals that work tirelessly to promote it. An opportunity for the COPUS members to share and learn from the local scientists, educators, and community members through an interactive STEM fair event. Our goal is to empower the local community with science and science connections — but to learn from their expertise and gain understanding from their experiences and perspectives too! An opportunity for professional development and networking. An opportunity for us all to share with each other and recharge for the year – bringing home cool new ideas and possible connections/ideas for grants, etc. We will be in the town of Chicxulub Puerto about 35 km from the north side of Merida and about 45 minutes from the airport. For this unconference, we’re partnering with Proyecto Itzaes to connect in with the local community of teachers, scientists, and families. Note: through out the unconference, we will be focusing on providing professional development and networking opportunities for all attendees. Cynthia Kramer, SCOPE founder and COPUS member, is committed to connecting the amazing resources in Missouri and other states across the nation, to parents and teachers, and by invoking interest in kids to excite them about STEM. Scope’s Mission: To share information and connect real life opportunities in Science, Technology, Engineering, Art and Math (STEAM) related: activities, programs, organizations, scholarships, internships and workforce opportunities; in order to better the lives of citizens, our economy and global leadership in innovation. There’s so many things you can do at the SCOPE website! These resources are especially awesome for folks in the midwest (Iowa, Missouri, and surrounding areas). What is the Understanding Evolution website? Understanding Evolution is a non-commercial, education website, teaching the science and history of evolutionary biology. This site is here to help you understand what evolution is, how it works, how it factors into your life, how research in evolutionary biology is performed, and how ideas in this area have changed over time. They have an abundance of materials! Teaching Materials — the ultimate resource for teachers! Resource Library — a browsable archive of articles, tutorials, interactive investigations and more. The Understanding Evolution site has been a long, on-going collaborative project of the University of California Museum of Paleontology and the National Center for Science Education. For more information, see their credits page. UCMP continues to develop and maintain partnerships with other scientific and educational organizations in a joint effort to support evolution education. For a listing of these organizations, see their collaborations page. Consider collaborating! Thanks to Lisa White, and everyone at the UCMP, for making this great resource available to the public. Visit the Understanding Science website (http://undsci.berkeley.edu/) to learn how science really works. The mission of Understanding Science is to provide a fun, accessible, and free resource that accurately communicates what science is and how it really works. The process of science is exciting, but standard explanations often miss its dynamic nature. Science affects us all everyday, but people often feel cut off from science. Science is an intensely human endeavor, but many portrayals gloss over the passion, curiosity, and even rivalries and pitfalls that characterize all human ventures. Understanding Science gives users an inside look at the general principles, methods, and motivations that underlie all of science. This project has at its heart a re-engagement with science that begins with teacher preparation and ends with broader public understanding. Its immediate goals are to (1) improve teacher understanding of the nature of the scientific enterprise, (2) provide resources and strategies that encourage and enable K-16 teachers to reinforce the nature of science throughout their science teaching, and (3) provide a clear and informative reference for students and the general public that accurately portrays the scientific endeavor. The Understanding Science site was produced by the UC Museum of Paleontology of the University of California at Berkeley, in collaboration with a diverse group of scientists and teachers, and was funded by the National Science Foundation. Understanding Science was informed and initially inspired by our work on the Understanding Evolution project, which highlighted the fact that many misconceptions regarding evolution spring from misunderstandings of the nature of science. Furthermore, research indicates that students and teachers at all grade levels have inadequate understandings of the nature and process of science, which may be traced to classrooms in which science is taught as a simple, linear, and non-generative process. This false and impoverished depiction disengages students, discourages public support, and may help explain current indications that the U.S. is losing its global edge in science. Even beyond the health of the U.S. economy, the public has a genuine need to critically assess conflicting representations of scientific evidence in the media. To do this, they need to understand the strengths, limitations, and basic methods of the enterprise that has produced those claims. Understanding Science takes an important step towards meeting these needs. Thanks to Lisa White, and everyone at the UCMP, for making this great resource available to the public! Whether you are a science lover, looking for opportunities for science enrichment for you and your community, OR you’re a scientist or working with an organization that is hoping to connect with the public through science outreach activities — visit the Science Festival Alliance out to learn more about annual science festivals. Thanks to Ben Wiehe for helping to raise awareness of this amazing resource within the COPUS corps! If you are a scientist or a representative of a citizen science organization or community: SciStarter is the organization and community to tell eager people about your work and get them interested in helping out. If you do not represent a project, but have a favorite citizen science you’d like to see added to the SciStarter Project Finder, consider inviting someone from the project to add the project or drop a tip about the project. SciStarter’s Mission is to bring together the millions of citizen scientists in the world; the thousands of potential projects offered by researchers, organizations, and companies; and the resources, products, and services that enable citizens to pursue and enjoy these activities. Enable and encourage people to learn about, participate in, and contribute to science through both informal recreational activities and formal research efforts. Inspire greater appreciation and promote a better understanding of science and technology among the general public. Create a shared space where scientists can talk with citizens interested in working on or learning about their research projects. Satisfy the popular urge to tinker, build, and explore by making it simple and fun for people—singles, parents, grandparents, kids—to jump in and get their hands dirty with science. Thanks to Darlene Cavalier for helping to raise awareness of SciStarter within the COPUS corps! We hear daily claims about what is good for our health, bad for the environment, how to improve education, cut crime, treat disease or improve agriculture. Some are based on reliable evidence and scientific rigour. Many are not. How can we make companies, politicians, commentators and official bodies accountable for the claims they make? If they want us to vote for them, believe them or buy their products, then we should Ask for Evidence. Join the Ask for Evidence Campaign! Share your experiences of asking for evidence. Use the hub of resources and expertise to make sense of the evidence you receive. Ask for Evidence was launched by Sense About Science in 2011. Sense About Science is a charity that helps people to make sense of science and evidence and promote use of evidence in public life. This takes us from responding to outlandish diet claims by celebrities to helping parents understand vaccines, from working with people with chronic diseases to beat misleading ‘cure’ claims on the Internet to pressing for sound use of statistics in media reporting. Thanks to Amy Vashlishan Murray for helping to raise awareness of this campaign within the COPUS corps! Science is all about figuring “stuff” out – so that we understand our world better. Science helps us investigate questions and solve problems in just about every way imaginable. That is pretty cool! On this patch journey, you will learn about how science works, who scientists are, and why science matters. In doing this, you will test your science know-how, go on a real science adventure, and learn how to be a good scientific citizen throughout your life. So grab your pen and paper and let’s get started! 2. Observe and ask questions the way scientists do! 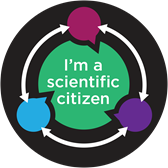 Purpose: When I’ve earned this badge, I’ll know how science works, who scientists are, and why science matters. Informed by Nature (IBN) works to advance the public understanding and appreciation of science, from its elegant approach to its awe-inspiring results. We are dedicated to encouraging lifelong learning, promoting critical thinking, and celebrating science, technology, engineering, and mathematics (STEM) disciplines. ONLINE: IBN accomplishes its objectives by opening homes, schools, libraries, and any internet connection to an innovative online science portal that makes learning about science and its relevance to our lives easy and engaging. IBN compiles the best science literature, lectures, films, magazines, videos, and art, among other media, in a searchable, user-friendly website that captures science enthusiasts and newcomers alike. Through all our efforts, IBN strives to touch every life with the wonder of science, encouraging learning, critical thinking, and giving everyone the building blocks for discovery and innovation. Learn more at http://informedbynature.org/ and thanks to Wayne Himelsein for sharing this website with the COPUS community! The Coalition for the Public Understanding of Science (COPUS) today announced this year’s winner of the third annual Paul Shin Award, honoring the unsung heroes of science communication and engagement. The 2014 winner is Dr. Amy Vashlishan Murray, Assistant Professor of Science (in the Institute for Liberal Arts and Interdisciplinary Studies) at Emerson College in Boston, Massachusetts. As a tenure-track science faculty member at Emerson College, one might think that Amy has her hands full: she teaches undergraduates with a focused interest in art and communication while conducting research in neurobiology in the Kaplan lab at Massachusetts General Hospital. But Amy recognizes that she’s uniquely situated — she’s interfacing with young talent in communication and art AND with cutting edge science. With a seemingly boundless energy, she’s capitalized on her situation to create innovative synergies that enhance the public’s understanding of science. Among her achievements are the founding of the Emerson Science Communication Collaborative and helping to establish the “Ask For Evidence” campaign in the US. Amy’s passion for science communication has led her to not only play an active role in the Boston area science outreach community, but to be a member of the National Association of Science Writers, the American Association for the Advancement of Sciences, and Voice of Young Science USA. Her passion for science education and outreach stems back to well before her faculty position at Emerson. 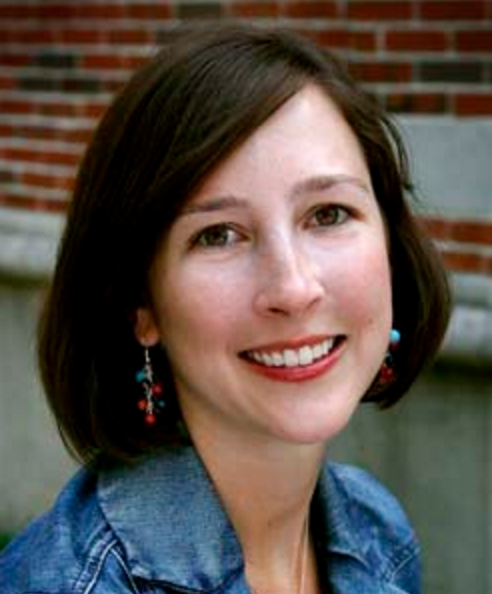 For more than a decade, Amy has been involved in the advancement of the public’s understanding of science — directing the Harvard graduate student organization Science in the News, developing exhibits at the Museum of Science Boston, and playing an important role in discussions of the implications of new genetic technologies with the Genetics and Society Working Group.